Passion often brings out the rawest of human emotions. It’s what drives us, and in many senses, what defines us. In the cutthroat realms of professional sport, passion can also act as the singular factor in determining how high an individual’s ceiling is. Talent only goes so far and when you reach that limit – as cliché as it sounds – it comes down to how badly you want it. Passion for his trade is something Timothy Filiga Cahill has always had in abundance, although, with the number of obstacles he’s had to overcome you may have been excused for thinking his obsession lay in hurdling, not football. Born in Sydney, Australia to an English father and Samoan mother, it was the former who originally instilled a passion for the beautiful game within the young Cahill. He was the middle of three sons and idolised his dad growing up. Tim Cahill Snr. was a football fanatic and made it his mission to bestow into his son’s hearts, an undying love for the sport that had stolen his. Trips to the city’s parks became a regular occurrence as heated contests ensued between the siblings over their adored family ball. It wasn’t all fun and games, though. His father wanted Tim to appreciate the arduous work and shear hours of painstaking practice it took to forge a career in sport. He’d make Tim and his brothers take off their right boots so that they only struck the ball with their left. “A great footballer has two feet,” he’d reiterate. It wasn’t long before young Tim’s love affair manifested itself within his education, and it’s here that his formative development was first blocked. Whilst other pupils wrestled each other to the ground in an attempt to emulate their rugby idols, Tim and brothers were far too preoccupied kicking around empty coke cans – due to the school’s lack of football equipment – to take any notice. Bexley North Public School carried a strong ethos for rugby league and to say Cahill was discouraged from playing the sport he loved would be an understatement. Despite his father’s protests, Bexley refused to succumb to his demands in making football a curricular activity. With no fewer than nine of Cahill’s relatives playing professional rugby, it’s little wonder the school wanted to explore his multinational gene pool that was ostensibly brimming with untapped potential. This wouldn’t perturb Cahill from playing football, though, as he actively sought out Sunday teams he could represent instead. His first trial came at local semi-professional outfit Sydney Olympic. Notwithstanding Cahill’s belief he had done enough to impress the on-looking adjudicators, his bubble was promptly burst once word was relayed that they believed him to be too small and not fast enough to make it in the professional game he so desperately craved to play. However, instead of crushing a disdained young boy’s spirits, Cahill firmly reassured his father that he’d one day prove the coach wrong. His initial disappointment acted as a harbinger of motivation as the future Socceroo trained harder than ever. After continuing to impress for amateur sides, he unexpectedly received a phone call from the Samoan FA. Word had spread of Cahill’s aptitude and he was invited to partake in an under-20 international tournament aged only 14. The youngster had always identified himself as an Australian national but the chance to spend some rare time with relatives and play on such a grand stage proved impossible to turn down. 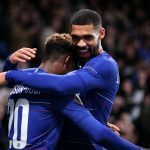 Cahill’s perseverance and effervescent attitude was finally rewarded with recognition and it wasn’t long before he had changed the obdurate mind of the same coach who questioned his ability just three years earlier. He signed for Sydney Olympic and immediately set about demonstrating why their new-found faith was well placed. Yesteryear hedonistic park play appeared invaluable as he was lauded for his aptitude with either foot. He also developed an uncanny knack for arriving in the penalty area at the most opportunistic of moments. Originally deployed in a deeper position, it was the timing of his runs and remarkable leap to latch onto crosses that saw him moved further up field to supplement the side’s strikers. 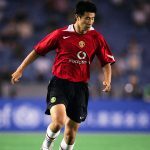 The burgeoning attacking midfielder was watched by scouts across the country on multiple occasions before deciding to stay local, signing for Sydney United in 1997. Unfortunately for United, by this point, the precocious talent harboured greater ambitions than simply becoming an A-League stalwart. Having grown up watching the Premier League on television with his father, British football had always been a pipe dream for the starlet. With an assured confidence from being associated with a professional club, he came home from school one day and boldly proclaimed his desire to venture abroad in pursuit of a Premier League career. Despite still being diminutive in stature and not possessing an exceptionally technical repertoire, Cahill’s positive outlook was driven by an uncompromised desire and peerless work rate. No one wanted to be a professional footballer in Australia quite like Tim Cahill. Determined not to be the reason Cahill’s career aspirations weren’t fulfilled, his parents duly obliged and even took out a loan to get the ambitious adolescent to English shores. Cahill Snr. made use of the few contacts he had back home and managed to arrange a trial with both Millwall and Nottingham Forrest. Acclimatising to a new culture whilst simultaneously living away from home for the first time is far from easy. Moreover, his auntie refused to take him in, citing it as an imposition given the youngster’s lack of street smarts. Couple this with the magnitude of trialling at the notoriously tough Millwall and the task ahead was not one to be scoffed at. Cahill, brazen as ever, backed his own ability and went toe-to-toe with brutish defenders almost twice his size. And just like that, before he even had the chance to leave London for Nottingham, Millwall scout Bob Pearson was on the phone to the Cahill household offering his family an official contract. It wasn’t all rosy for the gifted youngster, however. Playing in adverse weather conditions that were a far cry from the sunny parks of Sydney, Cahill would bemoan sustaining blisters from training in the snow. Times were tough and the 18-year-old would often call home in tears – although they were often met with a dose of tough-love from parents who had sacrificed so much to give him this opportunity. He progressed to debut for the first team in 1998 before helping the Lions to the 1999 Football League Trophy final. It was during the early noughties that Cahill really started to make a name for himself, securing promotion from the old Second Division before appearing in two playoff semi-finals. If England’s elite didn’t know who Cahill was yet, they were about to have an everlasting event etched into their memories. Millwall, now under the stewardship of Dennis Wise, had miraculously made it to the 2004 FA Cup semi-finals, with Cahill at the fulcrum playing between the lines of midfield and attack to devastating effect. 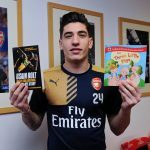 The competition’s last four pitted the Lions against Sunderland, and on the hallowed turf of Old Trafford, the youngster – affectionately known after Charles Dickens’ fictional character ‘Tiny Tim’ – truly announced himself. Player-manager, Wise – a small and cunning midfielder himself – had created a system where the Aussie could flourish. Cahill acted as a foil for front man Neil Harris with Wise and David Livermore duly taking on the defensive responsibilities behind. In the 26th minute, the ball ricocheted kindly into the path of the onrushing Cahill. Showing composure beyond his years, he coolly dispatched the chance into the top corner past the helpless Black Cats keeper, sending Millwall to Wembley. Amid an emotionally-charged celebration, Cahill headed straight for his father and brother Sean who had managed to fly over and catch what was the biggest moment of his career to date. He owed his family everything. The summer of 2004 marked the start of Cahill’s Premier League dream. After initial interest from Crystal Palace faded, it was David Moyes’ Everton who stumped up the £1.5 million asking price to prize Tiny Tim away from the Den. The rest, as they say, is history. 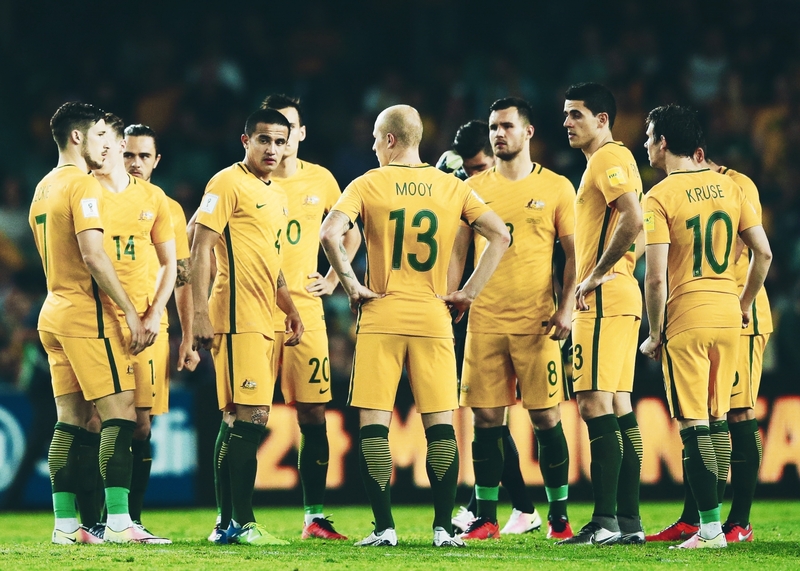 Cahill currently resides amongst the pantheon of Australian greats. He is his nation’s top international goalscorer, netting at three World Cups alongside being a Toffees, and indeed Premier League, icon. He endears himself further to Evertonians by holding the best goalscoring record post-war against their fierce Merseyside rivals Liverpool and has gone on to play professionally across four continents. Perhaps the biggest compliment one can pay Cahill is the shift in mentality he has so infectiously inspired across Oceania. Football is now the most participated team sport in Australia with his personal academy, Foxtel All-Stars, aiming to help produce the next generation of national heroes. 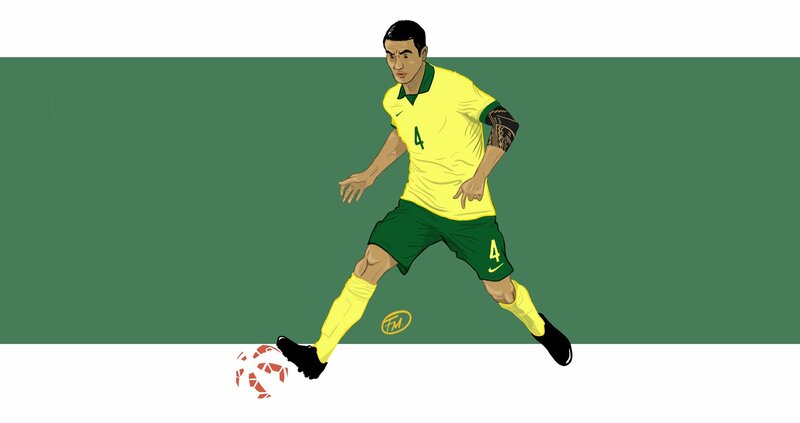 Whilst talent inevitably opened doors, it was perseverance, determination and above all passion that saw Cahill smash through the glass ceiling and cemented his legacy as one of his nation’s greatest players.